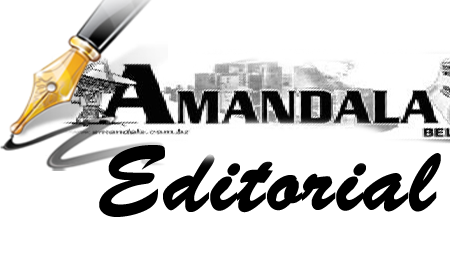 Do the Bandits have Verdes’ number? 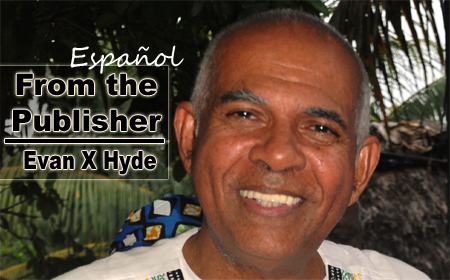 BELIZE CITY, Mon. May 11, 2015–It’s “for all the marbles” this coming Sunday afternoon at the Norman Broaster Stadium in San Ignacio, where defending PLB champions Belmopan Bandits will take a 1-nil lead from last Thursday’s game 1 into game 2 of the Premier League finals to decide the championship and the team which will represent Belize in the CONCACAF Champions League 2015. 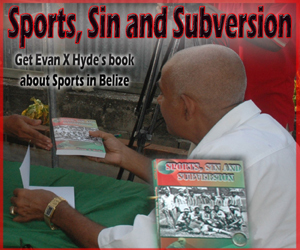 The two teams have met three times so far in this Premier League of Belize (PLB) 2014-2015 Closing Season – once in regular season, once in the playoffs, and once in the finals; and the Bandits have won all three encounters. On Sunday, March 1, in their only regular season meeting, the Bandits travelled to Norman Broaster Stadium and came out with a 1-nil victory, courtesy of a Jerome “Jarro” James’ goal at the 28th minute. They met at Broaster Stadium again in the playoffs, on Sunday, April 26, and it was the Bandits’ Randy Padilla netting twice (34’ & 48’) before Verdes’ Brazilian striker Alcides Thomas cut the lead in half with his 72nd minute goal, for the 2-1 Bandits win. 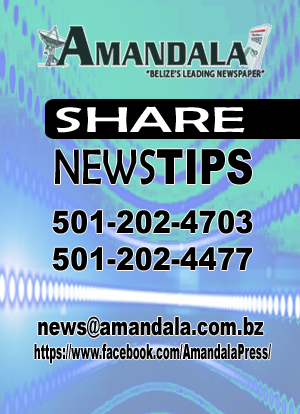 And in game 1 of the finals last Thursday, May 7, at the FFB Stadium in Belmopan, Verdes’ best chance was a long rocket by Orlando “Leechi” Jimenez that hit the Bandits crossbar; but it was not to be. 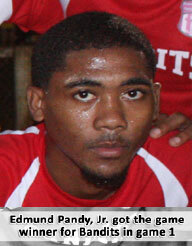 Late in second half, after coming off the Bandits bench a few minutes earlier, midfielder Jordy Polanco found Bandits striker Edmund Pandy, Jr. at the edge of the Verdes eighteen, and Pandy’s aim was true, beating Verdes goalkeeper Benito Moreira at the 86th minute; and the goal held up for the 1-nil Bandits victory. 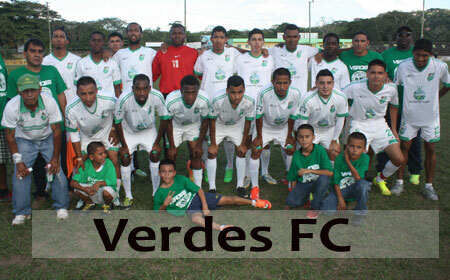 By virtue of their top finishing in the playoff round, Verdes has the home field for the final game this Sunday. In their three meetings this season, only their Brazilian import Alcides Thomas has been able to get past national team goalkeeper Woodrow West in goal for the Bandits. West is undoubtedly the best in goal right now; but on the negative side for the Bandits, they just lost national team defender Ian “Yellow” Gaynair and striker Randy Padilla to red cards in Thursday’s game 1, so they will be unavailable this coming Sunday. For their part, Verdes also lost defender Cristobal Gilharry to red card in the same game, so he will also look on from the bleachers. The Bandits should have gone to Champions League last year, but the FFB Stadium failed the test. They are now 3-peat champions; but that is not enough. 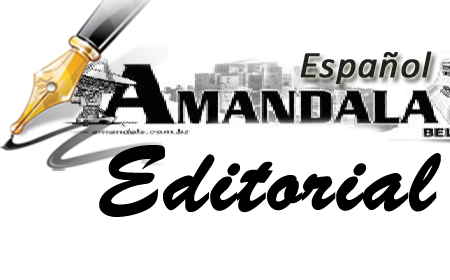 This is a new season, and the rules dictate that, in case of different champions between the Opening and Closing seasons, the team with aggregate most points in the two regular seasons gets the nod. If Verdes wins this championship on Sunday, they go to Champions League. But a 1 goal margin of victory for Verdes is not enough, and will force overtime to determine the aggregate winner of the championship series. 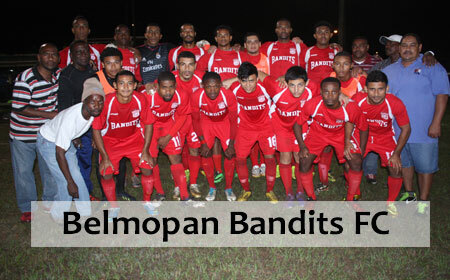 To make their Champions League dreams finally come true, the Belmopan Bandits will have to 4-peat. With their 1-nil game 1 victory, a draw is enough on Sunday for the Bandits to emerge champions again. It’s all come down to this. Take your pick. Will Verdes finally “break the ice” with their fourth attempt on the Bandits; or do the Bandits really have Verdes’ number this season?